A £50 deposit per week secures your booking and the balance is due one calendar month prior to the start of your holiday. 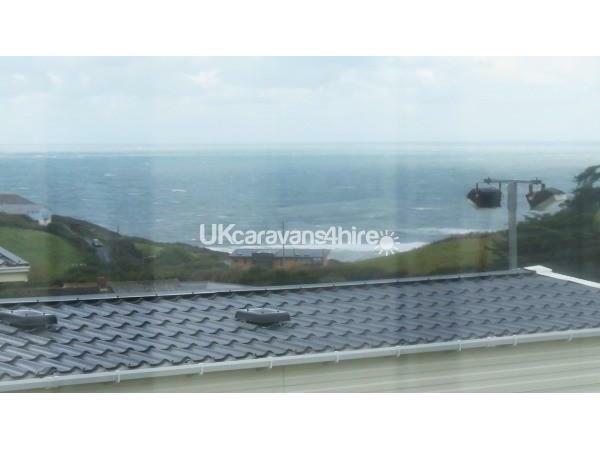 Widemouth 220 is sited on the John Fowler Caravan Park at Widemouth Bay near Bude, North Cornwall. 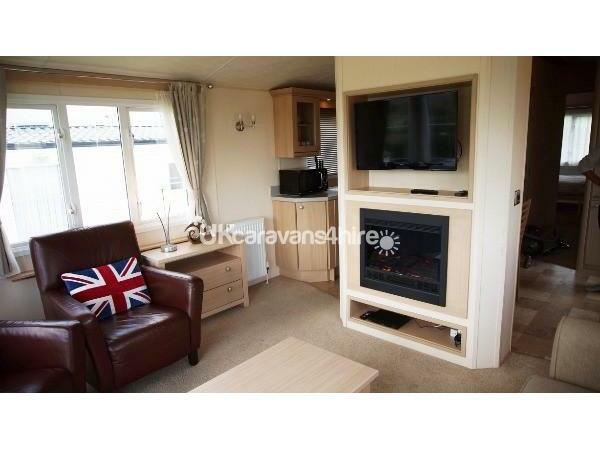 The caravan is spacious, modern with a full length picture window at the front and the large master bedroom not only has a ensuite toilet, but also a comfy king size bed. I am very happy to turn the twin room into a double bed for extra comfort, as long as I'm notified in advance and there is also the use of a sofa bed in the livingroom area. All gas, electric, bed linen and passes to the site facilities are included in the price and you may even bring your well behaved dog for no extra cost. Widemouth Bay Caravan Park has an indoor pool, club house with live evening entertainment, amusements and much more! But although it's a lively entertaining site, the caravan is conveniently sited near, but not too close to the facilities. Widemouth Bay has a beautiful long sandy beach which is popular for surfing, sunbathing and sandcastle building and is only a 10 minute walk away, it also has multiple pubs and restaurants that overlook the beach and sea. The beautiful town of Bude is a 5 minute drive, it has large supermarkets and numerous quirky little shops, various takeaways, restaurants and pubs etc. 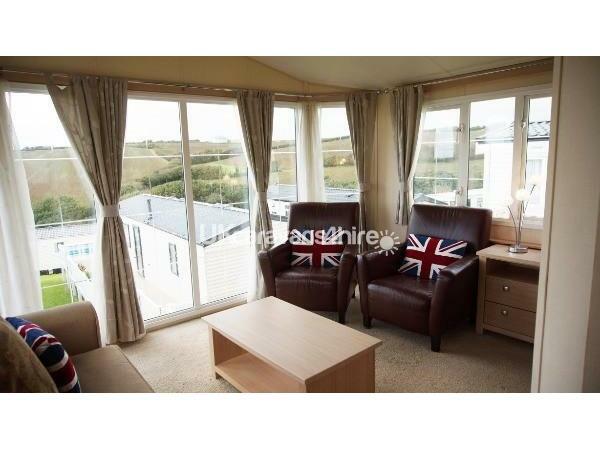 So if you want the perfect Cornish holiday experience, Widemouth Bay Caravan Park is the Holiday park for you! What a beautiful caravan with a home from home feel. Lovely welcome pack on arrival to greet us after our journey. Stunning views from the balcony and a lovely quiet spot on the park. Great shower and really comfy beds. Great woodland walk from caravan for the dog and of course the beaches at Widemouth only 10 mins away. Bude is only a short drive -10 mins in car.Thoroughly enjoyed our holiday-thank you !! 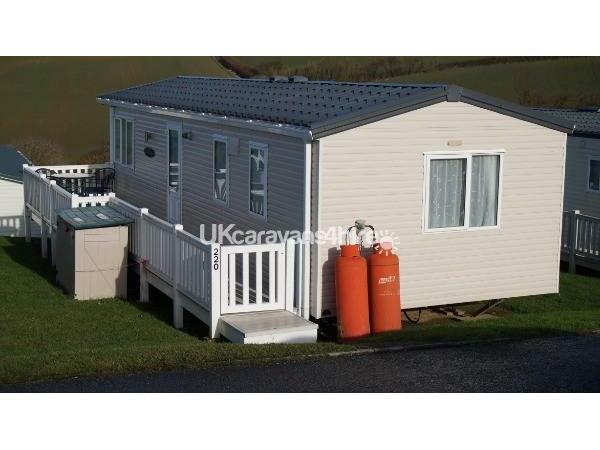 We spent a lovely week at Widemouth Bay in this caravan, which was really nice. 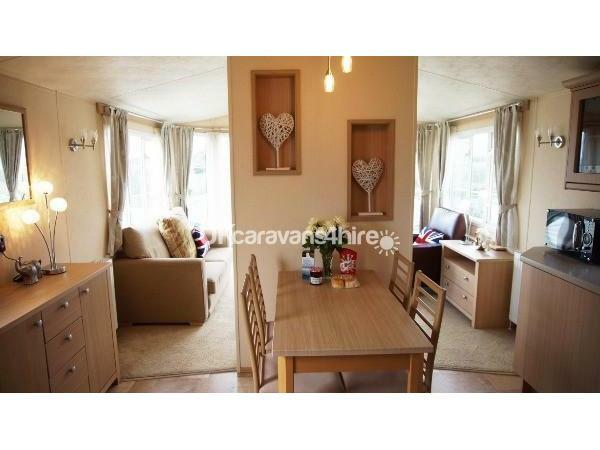 The caravan is really comfortable, spacious and located to allow a wonderful view of the sea and countryside all around. Luckily the weather was excellent whilst we were there and we really chilled out. Widemouth Bay is a well-kept secret - relatively unspoilt, nice and relaxing. Customer service from Deb Gerrard is second to none, welcome pack and all the little extras made it so welcoming and comfortable. Definitely going back!!! What a lovely week we had in Debbie's caravan. It was very clean and tidy with a large decking, just the job to sit on with a glass of wine and watch the sun go down. There were fresh flowers on the table and refreshment pack waiting which was very welcoming after our long journey. In all our years of caravanning we have never had a caravan with so many added extras. As mentioned in a previous review the shower was fantastic. Thank-you Debbie for a great week. 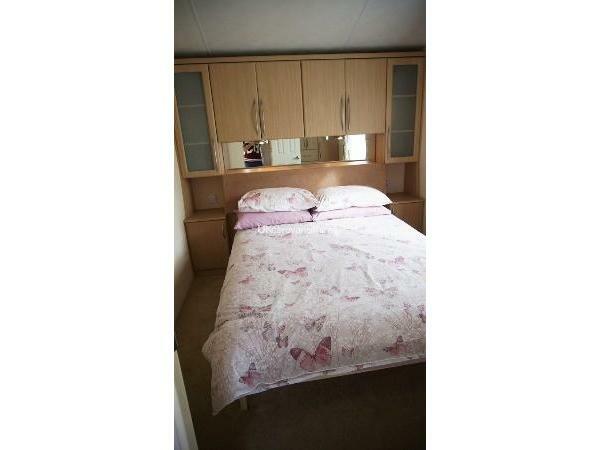 We just love this caravan & site....From the moment you book, the owner (Debbie) will make you feel like a family friend. Her customer service could teach the big corporate businesses a thing or two! The caravan itself is immaculate and absolutely beautiful. 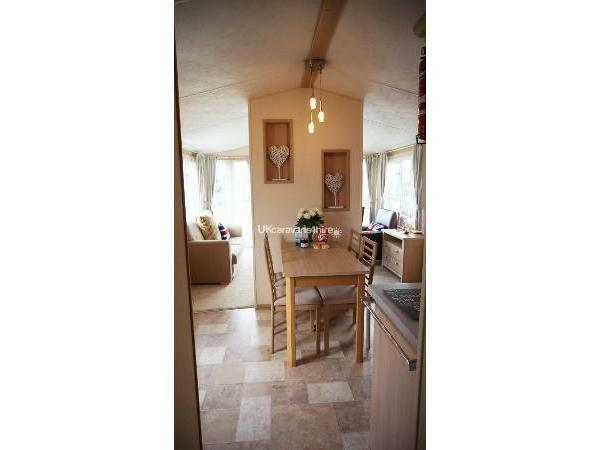 There is central heating, which works as soon as you turn up the thermostat & really makes the caravan warm and cosy... The shower is better than our shower at home! (I'm mentioning this as we have stayed in other caravans where the shower can be hit & miss - not the case in this caravan, it's a steady, uninterrupted fast flow of hot water!) We just loved sitting out on the decking, with the amazing sea view, watching the sun go down - it's so relaxing. The site itself is really well kept and located a 2 minute drive / 10 minute walk from Widemouth Bay, which is a beautiful sandy beach broken up by amazing lines of rock - perfect for rock pooling & beach walks - the best of both worlds! The site also has a shop, clubhouse & pool. Bude harbour & centre are close by, both of which are great & most places are dog friendly. 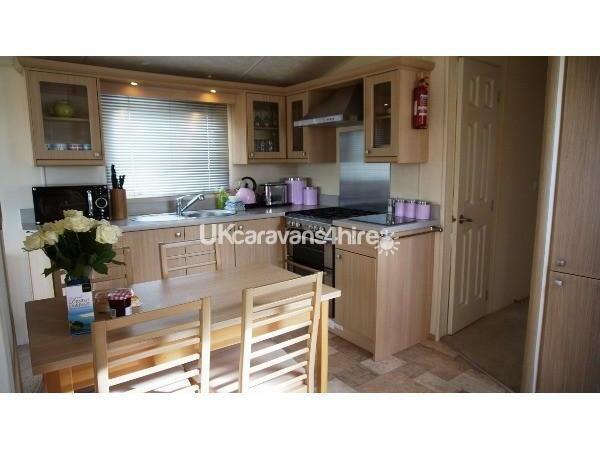 You really can't get better than this caravan, we can't recommend it highly enough! We decided to go with a private caravan instead of a site one for a change and the whole experience was fantastic. From the first enquiry the owner was on the ball and so quick and helpful with her replies. She even sent us a Christmas card although we had never met, a nice touch. The caravan was the best one we had ever been in for comfort and equipment with a fabulous view and a great piece of decking where we could keep an eye on our dogs. For the first time ever we had a welcoming pack, Cornish biscuits, Cornish fudge, milk, flowers etc and even a packet of dog treats. We have been contacted since to check if we enjoyed our holiday which shows great customer service, in fact she could do no more. All in all a fabulous experience, fully recommended, although if you are reading this leave us some spaces for us to book again as we hope to repeat the holiday again as soon as it is possible.